Matter is a Poppin' in Second Grade! 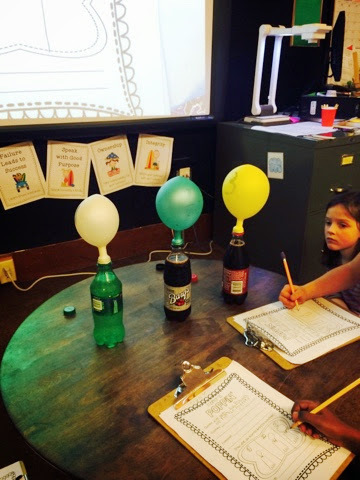 Currently we are studying the three most common states of matter: solids, liquids and gases. Today we were focusing on gases. 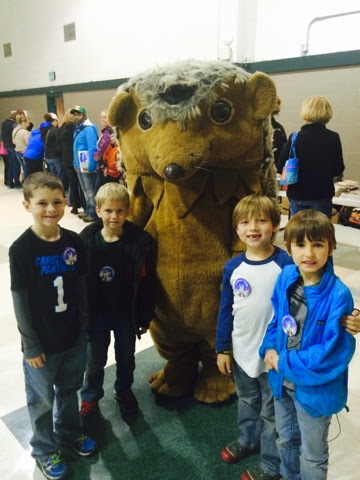 We did an experiment from Hope King's As a Matter of Fact science unit. We filled balloons with different amounts of pop rocks. Balloon 1 = 1 bag of Pop Rocks, Balloon 2 = 1 1/2 bags of Pop Rocks and Balloon 3 = 2 bags of Pop Rocks!!!!! Which balloon do you think filled with the most gas? Yes! It was balloon number 3. 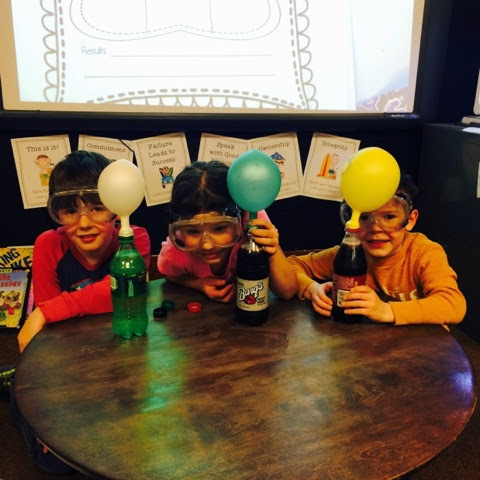 Pop rocks have pressurized carbon dioxide gas in them. When they dissolve in your mouth (from your saliva) or from the liquid of a soda the gas is released (which is the fun popping noise you hear). The soda also contains pressurized carbon dioxide gas. 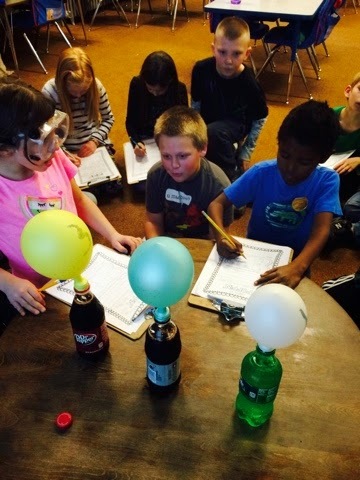 When the Pop Rocks are dropped into the soda some of the carbon dioxide escapes, inflating the balloon. Balloon number 3 became the largest because it had the most gas released. You can find more information about this experiment by clicking here. Tomorrow we will write up our lab reports and then take a closer look at all three states of matter interacting at one time on Wednesday. Stay tuned! Yes, the holiday season has long passed but we went to some amazing places (virtually of course) and we wanted to share a little bit of the art we created during our travels. It wasn't all about art though. We learned about many interesting traditions and found that our families have adopted many traditions from other countries! 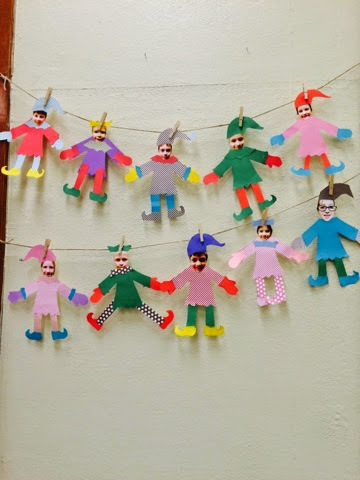 We "Elfed" ourselves before we began our travels around the world. 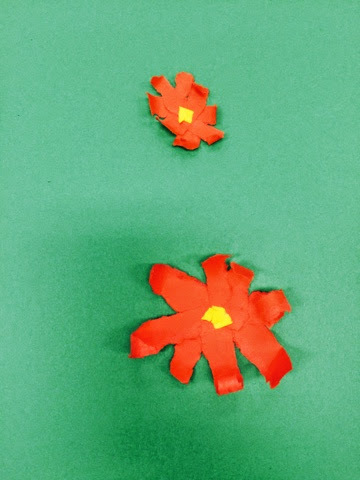 While visiting Mexico we learned about the significance of the poinsettia and then created some paper poinsettias. 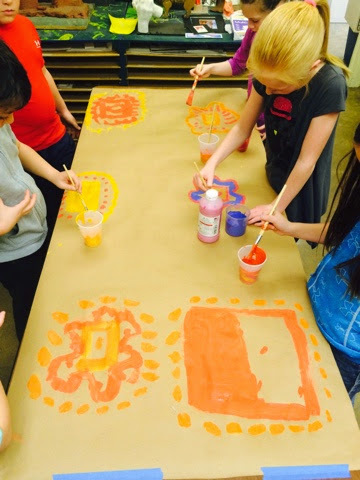 Beginning our painted Peruvian textiles using warm and cool colors. While visiting Peru we learned they weave beautiful textiles. We were short on time so we created "painted" textiles. 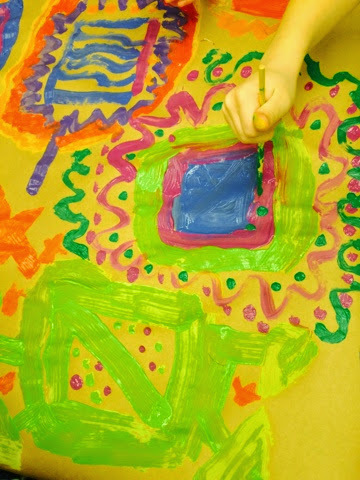 Artists had to begin with a rectangle, ask to paint in another artists space and added on to each others creations to make beautiful painted paper. After the paint dried we cut the paper into smaller rectangles and tied yarn to the ends. 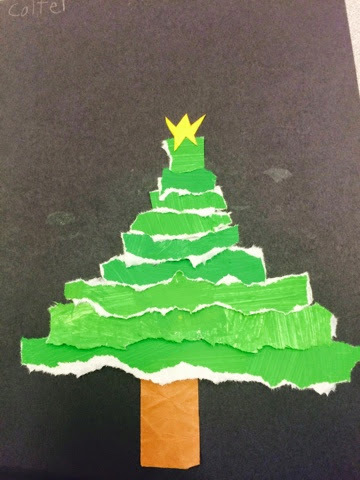 Our final products were beautiful but somehow we forgot to get a picture of them. Next time! 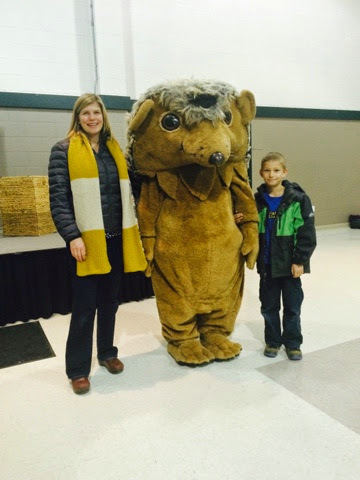 Blogging has been tough for me this year for some reason! I have set a goal to catch up and make sure to post at least once a week. 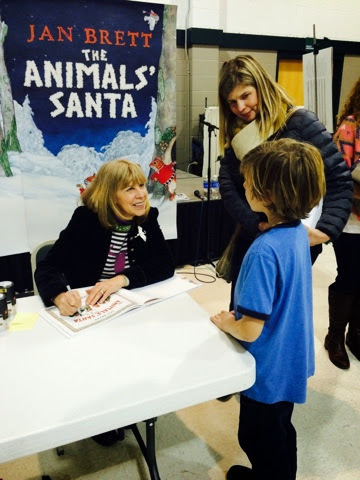 On December 11th we were incredibly surprised with a visit from the Author, Jan Brett. 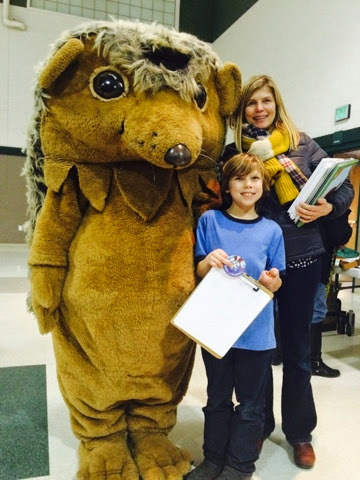 Our local library entered a contest to have her visit our little town on her book tour for the Animal's Santa. She is amazing...to say the least!!!! !